I'm using Hair Particles to spawn grass on hills. 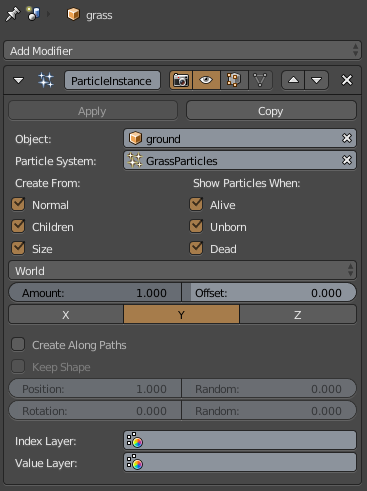 Unfortunately I cannot convert more than 10 000 grass particles to mesh because every single particle gets converted into a separate object. Any more than 10-20k and blender will crash or take extremely long. Is there way to Convert all the Particles into a single Object or just somehow reduce the Object count? The Poly count is not high at all. There are also some disadvantages though, like using vertex groups for particle size (length) doesn't seem to work (maybe there are some more, but nothing important for me - you will have to find out). 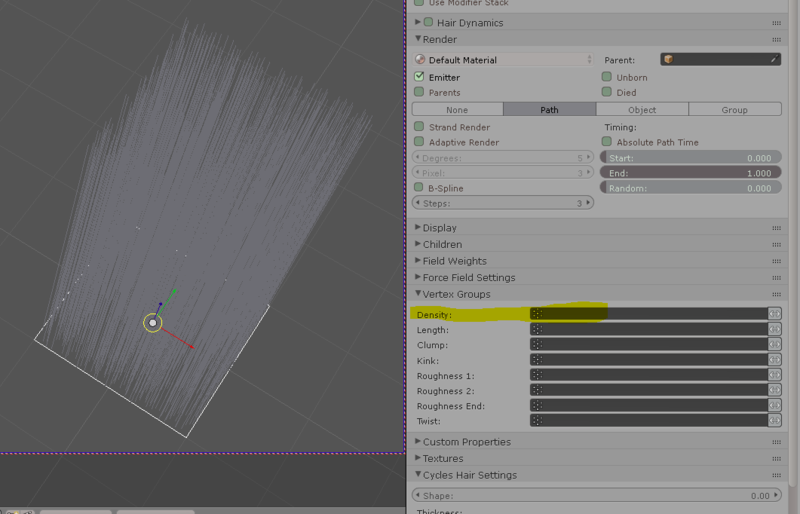 You will want to make different Vertex Groups, because... 3) On your particle system go to DENSITY. 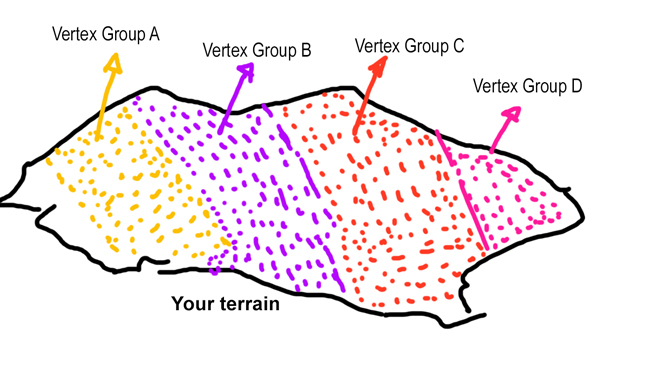 And choose (first) Vertex group A: Then your particles will be "FILTERED" only to the selected vertices of VERTEX GROUP A. Once the vertex group A area only contains your particles, you can convert them to objects without Blender Crashing on you (because now there are fewer particles on viewport). Remember the dubbed ground mesh? Select it again, duplicate it again (and since it still contains group vertex B,C,D) you will repeat step 3, selecting Vertex group B. Filter your particles, convert them to objects. Repeat the same for all other vertex groups until you have all your particles converted to objects. ALSO: Please: When you convert your particles to objects, send them to a different layer so they will not all be existing into 1 single layer at a single time. You´ll slow down the viewport performance. While using this method (convert, switch to other layers) will allow you to only show the portion where you need to work. Thank you if you vote me for answer. Happy Blending. Not the answer you're looking for? Browse other questions tagged objects particles hair . How do I make custom grass using particles?